Pictured in Above and Beyond Coffee & Cullen Tiger Eye with American Walnut finish. 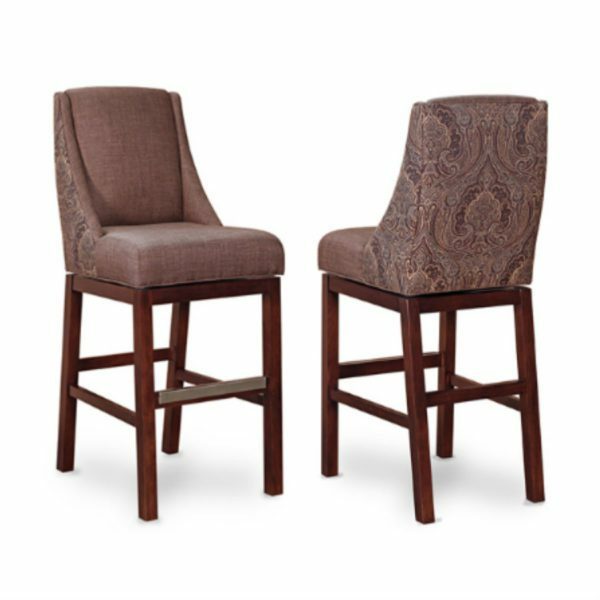 The S2320 swivel stool features a return swivel with square, armless design. Made with the finest quality construction and made-to-order with your choice of finish color, fabric, or leather. The S2320 swivel stool is made with a solid kiln-dried hardwood frame for exceptional strength and durability. Features a square design with return swivel so stool is always facing forward when not in use.